In a recent post on SeekingAlpha.com, Denis Ouellet wrote about the outlook for American companies "It is therefore, dangerous to assume that margins will expand any further. From now on, corporations need to increase sales to grow their earnings. Unfortunately, demand is waning." His point, in a rather lengthy and technical article on investment valuation, is that companies have reduced costs dramatically; they have tested pricing power limits; and facing the dual pressures of rising costs (no further opportunity to cut) and stagnant profits (waning demand and no power to raise prices) their only avenue for revenue growth is sales growth. OK - pretty straightforward. Except....companies have already been working hard to grow sales. Using traditional methods they consistently bump into the reality of waning demand. So it's great in theory, but has proven impractical. 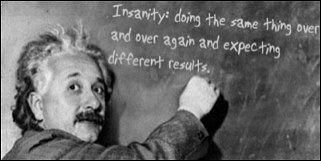 The classic Einstein quote "Insanity is doing the same thing over and over and expecting different results" bears consideration here. At what point do companies consider the insanity of persevering with the same sales & marketing approaches in the same stagnating markets? The answer, obviously, is not until they are really on the ropes. At this point it's clear that relatively few businesses are really looking at substantively different approaches. And that's tragic, because there are a pair of amazing opportunities that are perfectly suited to help most American companies grow profitably - securing stability and vibrant success for their employees and owners. 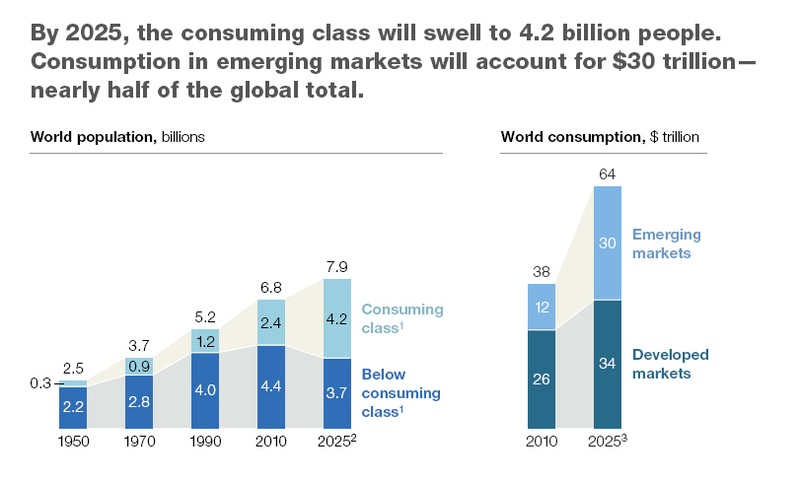 That means the customers, disposable income, demand and energy will be primarily found in growth markets. And many American companies are selling into those growth markets successfully already. It might be a lot more feasible for your business than you realize, and parallel approaches to both evolutionary marketing and new growth markets provides the interim domestic growth that will help fuel a long-term international business development effort. Consilium Global Business Advisors has a completely wild model that achieves both simultaneously. If you're worried about finding growth for your SMB (and who isn't) you really should at least chat with us. We're pretty sure you'll find this amazing approach not only innovative, but exciting. Contact us.